Mumbai: Christmas cheer seems to have settled in on world markets. On Friday, the Dow Jones ended at a six month high, a day after news that weekly jobless claims were the lowest since August 2008 and new home sales were also at their highest level since April 2010, reports the Wall Street Journal. The Dow Jones Industrial Average ended up 1%, at 12,294. The Nasdaq gained 0.7%, at 2,619 and the S&P 500 was up 0.9%, at 1,805. Back in India, The Tayal Group, the promoter of Bank of Rajasthan (BoR), has approached around 15 banks to recast loans worth ₹ 350 crore for its flagship company KSL Industries after it posted losses because of high raw material costs and slowing demand. The remaining group companies may also approach banks for loan recasts worth ₹ 2,700 crore because of losses and poor cash flows. Analysts said the move to restructure loans of struggling textile firms was a positive step. Rural Electrification Corp plans to raise $500-600 million (Rs 2,650-3,180 crore) via foreign currency convertible bonds (FCCBs). The bonds will mature after three years with interest rate of 2%. Analysts said there may be few takers for the REC bonds because of the weak market environment. The oil ministry plans to impose a cap on Reliance Industries’ costs for developing new KG-D6 gas fields, reports the Economic Times. The government has also deferred its decision on allowing the company to fully recover previous costs. RIL had estimated expenditure of around $1.5 billion in 2006 for developing the smaller discoveries in KG-D6 on the basis of 2006 prices. If the government approves this plan, the cost should not exceed the original limit by 10-15%. Singapore’s Changi Airports is looking to buy a 26% stake in GVK’s airports business for ₹ 2,200 crore just before it bids for building the new Mumbai airport, reports the Economic Times. The valuation and the deal size are much bigger than GVK’s current market cap of ₹ 1,738.70 crore because of the lacklustre market. GVKs’s assets are worth ₹ 8000 crore. 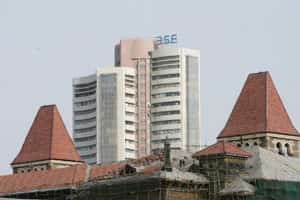 General Insurance Corporation of India is set to take a hit of ₹ 1,500 crore on its books due to catastrophes in various parts of the world, reports Business Standard. This will surpass claims of ₹ 650-750 crore from the Mumbai floods of 2005. The company said that it has enough cover in terms of reserves to deal with the losses, however the profitability will take a hit because the financial loss in Japan, following the earthquake and the tsunami, was high. Lastly, Shirdi, one of the richest temples in India has accumulated a fortune of fixed deposits and government bonds worth ₹ 500 crore at the end of March, 2010 reports Economic Times. The temple also has gold valued at about ₹ 28 crore and silver worth ₹ 4 crore. The temple is generous in deploying funds in improving civic amenities in Shirdi.